Italian Prime Minister Giuseppe Conte has declared a 12-month state of emergency in response to the bridge collapse in Genoa that left 39 people dead. Officials said 15 people remain hospitalized, including nine in serious condition. Conte said at a news conference that he would release an initial 5 million euros ($5.7 million) of relief funds to help the northwest Liguria region cope with the tragedy. More than 400 residents have been forced from their homes and about 600 more are being told to vacate the 11 apartment buildings that stand close to the bridge, amid warnings of further collapses. There is no word whether the inhabitants will ever be allowed back home. The buildings may be demolished if the remaining parts of the bridge are torn down, the BBC reported, citing Genoa Mayor Marco Bucci. Flooding may also be a concern, as the smashed concrete in the currently dry river bed might block the flow of water that typically picks up in the autumn. 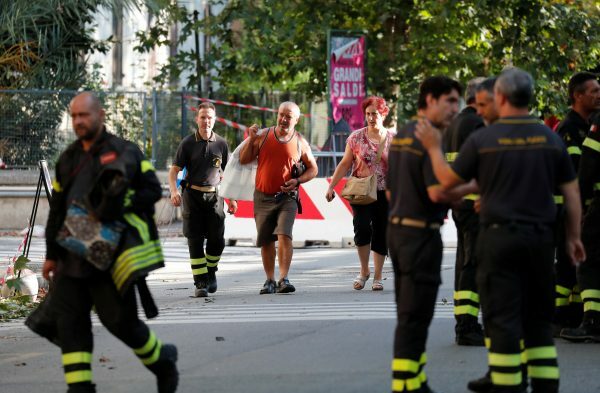 The bridge collapse has severed the mainland corridor connecting Genoa, one if Italy’s busiest port cities, with France and parts of the Italian Riviera, interrupting business traffic and adding to locals’ distress. In the valley below the shattered structure, cranes moved away chunks of debris on Aug. 16 as rescue teams searched for survivors in the rubble. Genoa’s chief prosecutor, Francesco Cozzi, said 10 to 20 people were missing. A state funeral for the victims will take place in Genoa on Aug. 18, officials said, as the coffins of some of the dead were laid out in a hospital chapel. It is unclear what caused the bridge to topple, with experts stressing that no definitive answer is possible until an investigation is completed. Italian officials have directed heavy criticism toward the private company responsible for operating the bridge. The Genoa Public Prosecutor’s Office has opened an investigation into possible negligent homicide. 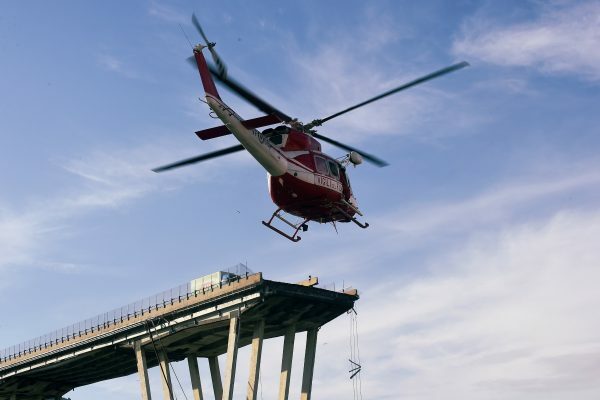 Autostrade per L’Italia, the operator, said the bridge was showing signs of degradation due to heavy traffic, but insisted all inspection and maintenance work was up to date. Company representatives said work was being done to shore up the bridge’s foundation around the time of the collapse, and the firm was about to open a 20 million euro ($23 million) bidding process for safety improvements. Civil engineering experts speculate about possible contributing factors. Some of the bridge’s design features were shown over time to have serious shortcomings. Crucial areas were highly prone to corrosion, requiring intensive inspection to keep it in check. While aesthetically pleasing due to its minimalistic design, the Morandi Bridge had little redundancy built in, which elevated the effect of a single failure to potentially critical proportions.